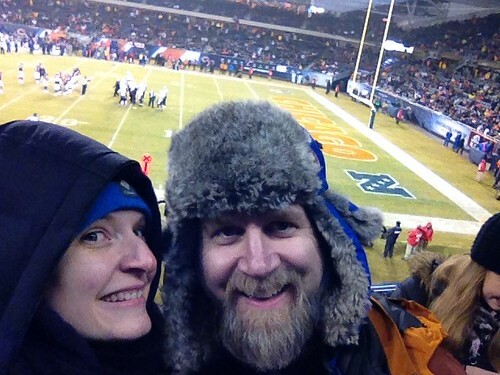 Last week, we had the pleasure of going to the Saints at Bears game, courtesy of our awesome friends Zach and Brynn. 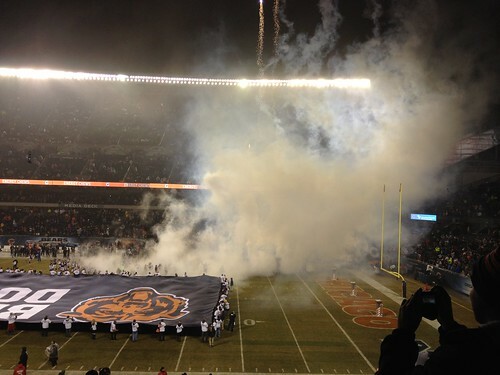 I've always wanted to go to a Bears Game (I'll never forget the way they thrilled the nation with their T-Formation), and when the tickets they had turned out to be a rare free night in Team Gerdes-land, we were thrilled! The icing on the cake was that it was also a Saints game. WOOO! 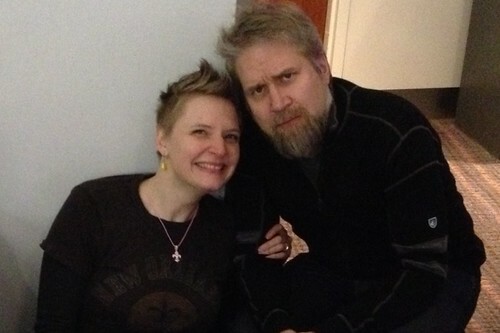 Sadly, Brynn had to miss the game due to work, but we rocked it out with their friend Bill. The evening was a total blast--it was cold and there was no cotton candy, but I was willing to overlook those issues for the fact that the seats were awesome, the game was great, and the experience was incredible. 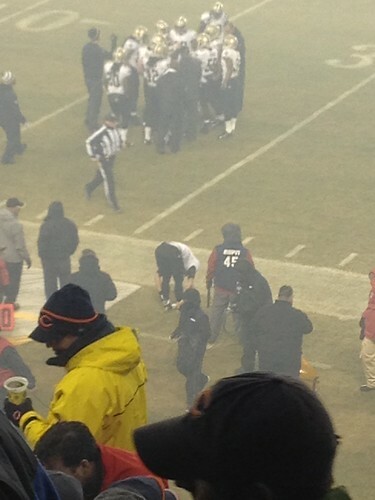 Here are some pics! 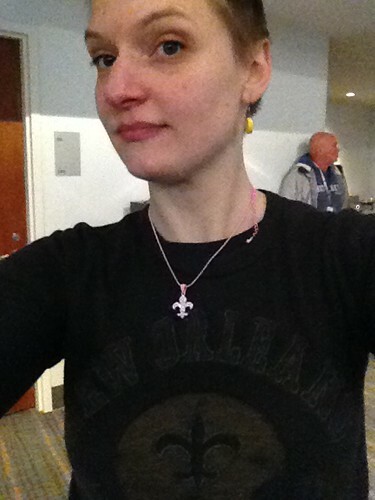 I was not afraid to rock my Saints wear in the United Club. 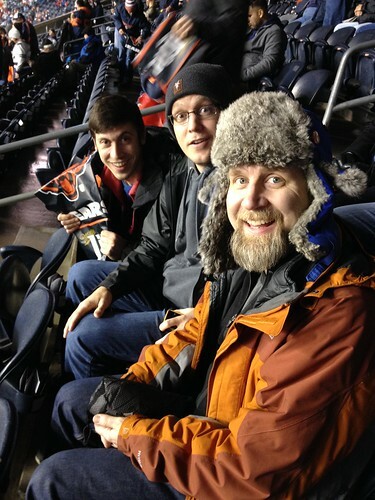 There were a few of us representing in there, though it was mostly blue and orange. 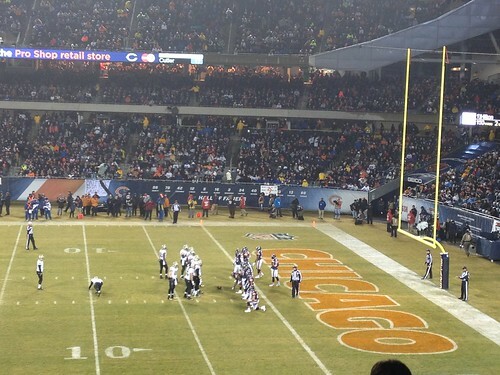 Everyone around where we sat hated me, cause I cheered a LOT for the Saints. I have a friend on the drumline somewhere out there! 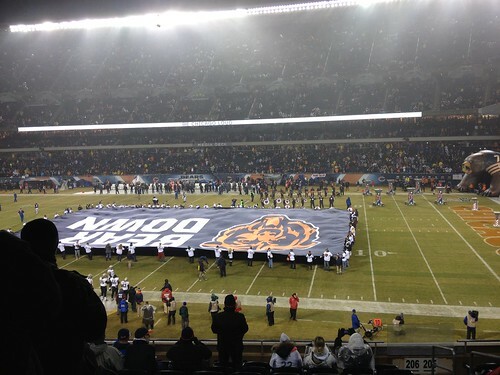 Bear Down! 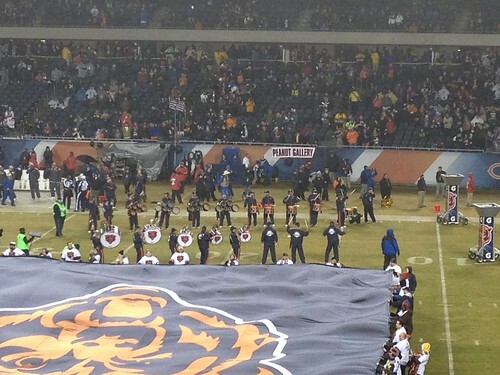 I was actually super happy the Bears scored a couple of touchdowns, cause I love the fight song soooooo much. There were lots of pyrotechnics and fireworks. 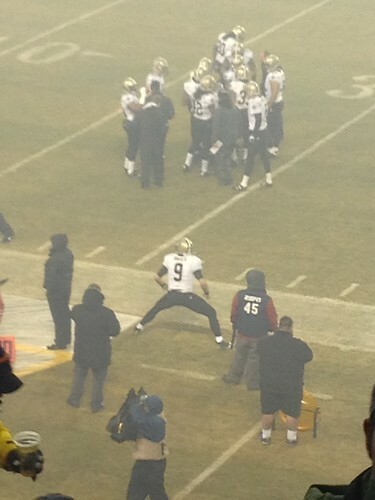 Stretch it out, Drew Brees. Thanks, Zach and Brynn! Geaux Saints!